You can imagine that any show that depicts real-life situations is going to be highly criticized unless the writers really do their homework and get everything just right. It’s also on the director to make sure that everything is where it needs to be and everyone is doing their job. But that being said, there are a few reasons why real firefighters might not enjoy a show like Station 19. 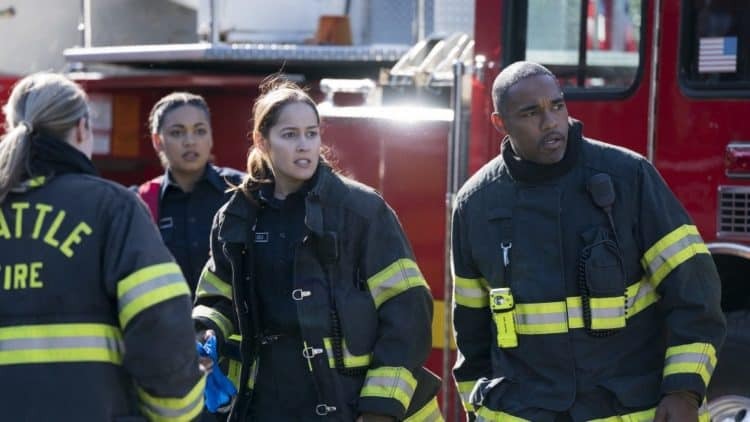 Like many other shows Station 19 was created to show the lives of firefighters as they’re on the job and it is a good bit of entertainment. Unfortunately as happens in many shows Hollywood does take its own lean and puts its own spin on the whole idea of being a firefighter that may or may not be entirely intentional. Those that actually perform these jobs might like such shows but it’s likely that they might not respect them quite as much. Here are a few reasons why people in said professions might not like this show. 5. Facial hair is an impediment to breathing apparatus. It should be pretty obvious that you don’t run into a burning building that’s filled with smoke without any kind of breathing apparatus, but having two to three-day growth on your face and expecting your breathing mask to fit as it should. Current and past firefighters would cite the fact that not getting a good seal on their mask would be a horrible mistake to make when walking into a burning building. Even a mustache would have to be trimmed if it was interrupting with the tight seal that’s needed in order for it to function properly. Among many of the reasons why the show is not entirely accurate this is one that could be quite deadly for a firefighter. 4. The interior of a fire scene wouldn’t feature any visibility. Many firefighters have attested to the fact that when inside a burning building visibility is next to nothing. In fact some of them have gone so far as to say that simply keeping track of the person right next to them is almost impossible sometimes unless they’re stacked close together. What this means is that the scenes you see in the show are not realistic, and that in reality the show might be kind of dull if the writers showed just what really happened. It would likely be hard if not impossible to see anything at all since many firefighters have stated that they have to feel just about every inch of the way when they make their way into an affected area. 3. Not all firefighters look like models. This is of course subjective really as it’s necessary for a show to have figures that people are going to pay attention to. But in honesty not every person that works in a firehouse looks like they could walk a runway or model for a magazine. Those that work as firefighters may or may not that good-looking but the average person that works as a firefighter is going to look like an average person. In truth this is more of a personal matter that many people may or may not choose to ignore since it’s kind of a superficial reason not to like a show. Of course it’s going to feature good-looking people or those that have a great on screen presence. It’s show business after all. 2. A lot of firefighters aren’t this insanely busy. In some cities there are firehouses that are in fact quite busy since they might service more than one town. Plus, there are seasons that might be a great deal busier than any time of the year since the dry season can play host to a great many fires. But on the average there aren’t a lot of firefighters that are this constantly busy and are running around saving lives and putting out fires all the time. Firefighters actually do need to have some downtime now and again and they do need time to have a life or spend time with their families. They are human beings after all and do need moments to rest and just wind down. 1. Real life is not always so dramatic. Real life is a lot of things but drama is something that people tend to want to avoid as much as possible. But much like the third reason in this article this is something that is kind of best when taken from an individual perspective. Life in general is more than just drama and an inclusion of comedy, of tragedy, and of many other subjects tends to make a more complete and engaging life that is far more realistic and far more entertaining. The whole idea of instilling drama into a TV show is to make sure that people are going to watch, but when you set it next to real life there are a lot of differences that can be noticed. It’s always an individual’s opinion on what they’ll like in regards to a TV show, but realism is still something a lot of people enjoy.